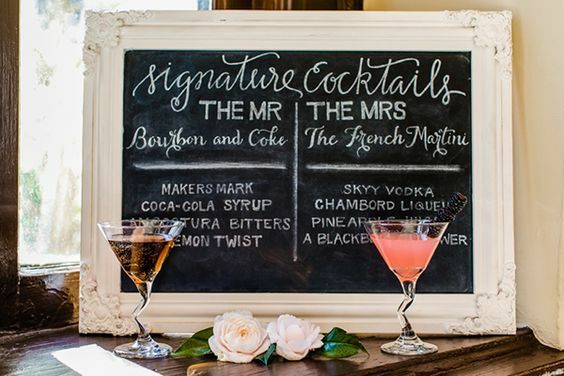 Whether you decide to have an open bar, cash bar, soft bar or any other type of bar, a signature cocktail is a great way to add a personal touch! This is a fun way to encourage guests to try something new and get in on the love. Signature cocktails are a popular (and tasty!) 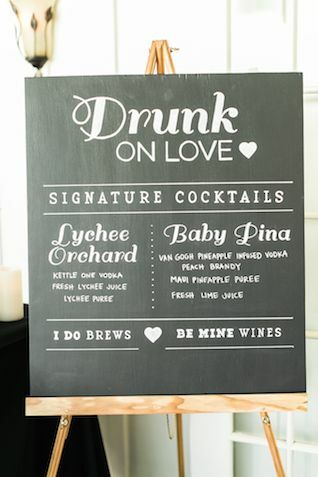 way to celebrate your newlywed status and share your drink preferences with your guests. Use your favorite spirits or even choose a drink that fits with your color scheme!